Florida, the Sunshine State, is one of the most populated states of the US nation. Explored in 1513 by the Spanish explorer Juan Ponce de León, Florida gained its statehood and legislation under the US in 1845. Florida has flourished among various diverse cultures and the economy is driven mostly by the tourism, financial services and trade exports. Though the State is not among the states having high per capita income, but the overall GDP ranks it as the forth largest economy. What is the Florida Board of Nursing? What are the roles and the responsibilities of the Nursing Boards? 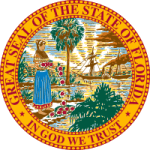 Florida Board of Nursing is the administrative council or body, which is focused solely on promotion and development of medical services in the state. The Board (referred as the Florida Board of Nursing from hereon) is responsible for safeguarding the public health issues and standardizing the nursing professional in the Florida State. The Board is an integral part of the State health Department and is a division under the Medical Quality Assurance Program. The Board has various roles and helps in regulating various nursing laws in the Florida State. Certification, Licensing, Renewal and Enactment of various nursing laws and professionals in the state. Providing vital information on various topics such as education Programs, Exam Results, Eligibility and Course Descriptions, Profession updates, Renewal Information, publications and other crucial information. What is the current stature of the Florida Health care industry and health status in the state? With over 21% uninsured population and $5483 per capita health spending, Florida is not rated among the healthiest states of the nation. It is the basic responsibility of the board to ensure the health status in the status and look over the health care industry in the nation. As far as the health care industry is concerned, the general hospitals and physician offices were the major gainers and holders in the wage and benefits wheel for the year 2017. The health sector has grown over 45000 establishments and defines a huge portion out of all the employment openings in the state. The major health problem in the Florida State comprises of high mortality rate and lack of Emergency Medical Technicians and health Personnel in the state. Financial Hardships in rural areas and disproportionate development rate in the economic sectors is another affecting factor for the health care industry and nursing board in the state.